Product prices and availability are accurate as of 2019-04-20 22:39:06 UTC and are subject to change. Any price and availability information displayed on http://www.amazon.com/ at the time of purchase will apply to the purchase of this product. Add a touch of sophistication to your deck or porch with these Classica High Lumen Post Cap Lights by GreenLighting. 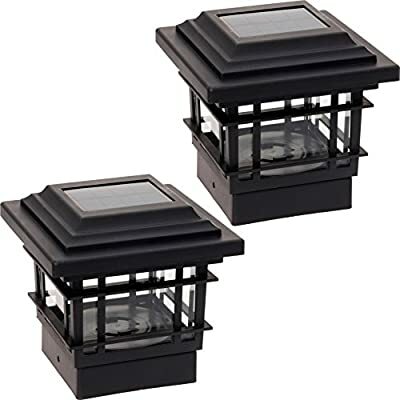 This set of 2 post cap lights will create a warm, inviting ambiance in any outdoor space. The housing is made from a durable and water resistant plastic with a glass lens, and features 2 warm white LEDs that provide 20 lumens of light. Made to fit nominal 4x4 posts, the base measures 3.6" x 3.6", and comes with a rail adapter for mounting on to flat surfaces. 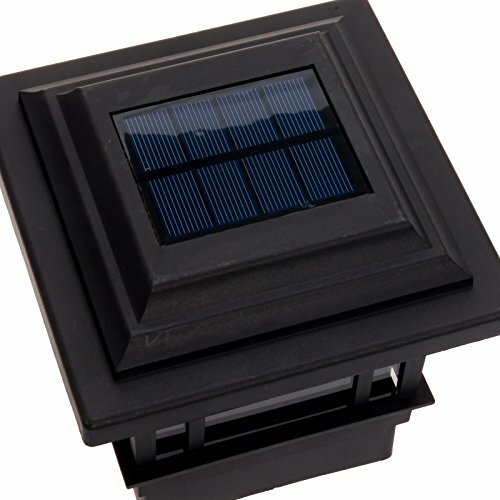 The top mounted polycrystalline solar panel collects the energy to power the 1.2 V 1500 mAh battery for use at night, and detects the ambient light to automatically turn on and off the lights. It is recommended to install these post cap lights in an area that receives sunlight for 6 to 8 hours a day. Pack includes 2 post cap lights. 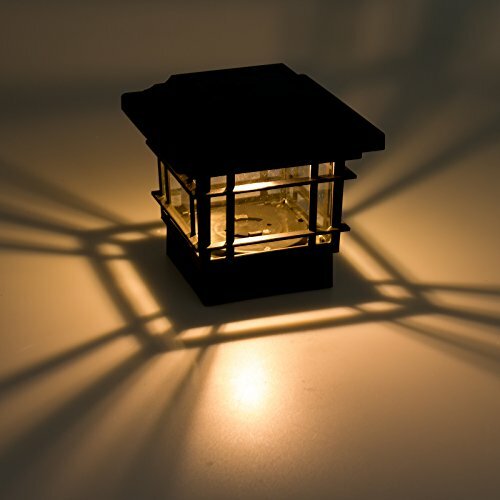 Each light measures 5.9" x 5.9" x 5.9", base fits 3.6" x 3.6" posts. FITS NOMINAL 4X4 POSTS - Base measures 3.6" x 3.6", designed to fit over nominal 4x4 posts. Full light measures 5.9" x 5.9" x 5.9". 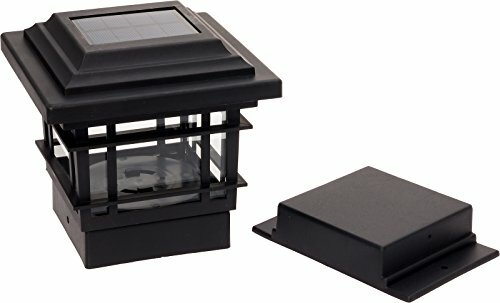 SOLAR POWERED - Top mounted solar panels charge the 1.2 V 1500 mAh battery, letting you light up your yard without installing wiring or raising your power bill. 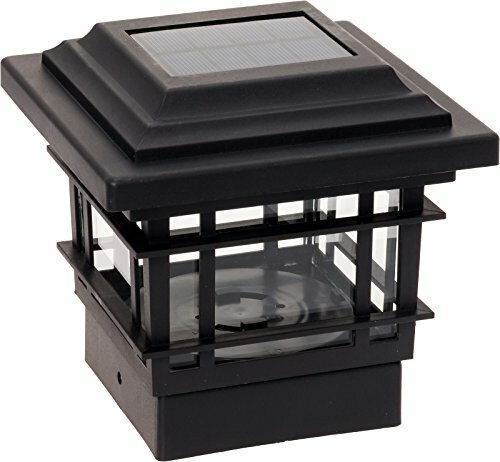 HIGH LUMEN LED - Each light uses eco-friendly LEDs, providing 20 lumens of light to perfectly illuminate your deck or yard. AUTO ON/OFF - Take the work out of having to maintain your lights! A built-in sensor detects surrounding light and will automatically turn your lights off and on eliminating the need to constantly maintain them. 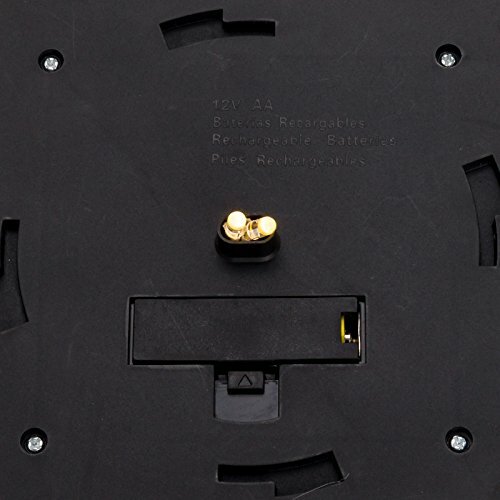 EASY TO INSTALL - Everything you need to get started comes in the box, including batteries, screws, and a rail adapter for installing on flat surfaces.